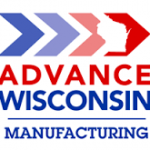 Advanced Manufacturing Pathways PLUS received a $2,999,750 Round Two TAACCCT award to addresses strategic gaps in our manufacturing educational and services infrastructure in order to effectively prepare job seekers for current job opportunities through an accelerated credentialing frame. The AMP PLUS strategies build capacity for expanded flexible learning options in four Advanced Manufacturing pathways through a combination of class schedule enhancement and the infusion of technology enabled learning in courses that stack or lattice to credentials aligned with the skills needed by regional employers. Fox Valley Technical College developed rich and trusting relationships with employers by listening to their needs and developing programs that responded to those needs. Two new positions that were funded by the grant: a Career Navigator and a Veterans Specialist were sucessful in student retention and completion. Accelerated student progress through the development and use of contextualized, technology-embedded mobile applications for Advanced Manufacturing courses.